After breakfast we ran in to “Mr. Richard,” who was a friend Sara made on our flight from Seattle to Fairbanks two weeks ago. He and his wife are from Florida, and we saw them throughout the trip. He gave Sara his mailing address and email address so they could keep in touch. After disembarking in Vancouver, we made it through Canadian Customs (no stamp in our passport), and then boarded a coach for a brief tour of Vancouver before heading to the airport. On the tour, our driver Aaron took us through the city and then on to Stanley Park. 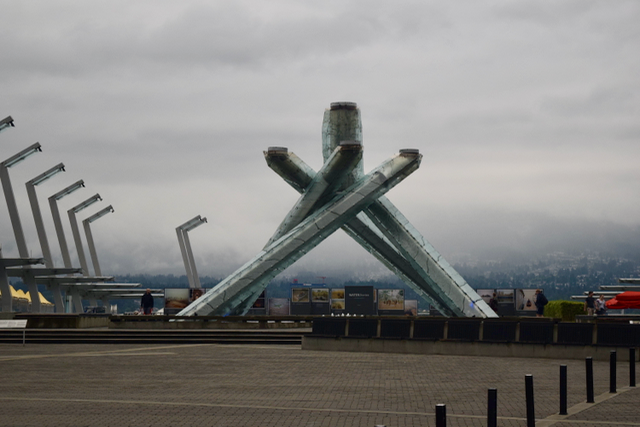 He explained that Vancouver was put “on the map” by the 1986 World’s Fair that was hosted in the city. From there it has gone on to host the 2010 Winter Olympics and the 2015 FIFA Women’s World Cup. The city is built on peninsula, and can’t grow out any more. The population of the city is 600,000, but the larger GVA is 3 million, which makes it the third largest city in Canada. The average high temperature in the summer is 72 to 80 and 42 to 48 in the winter. Today was cloudy, but Aaron said that the previous 29 days had been sunny with little rain. He said that the city rarely gets snow in the winter. On the tour we saw the olympic torch, a steam clock that was built in 1977, the flagship store for lululemon, the original Old Spaghetti Factory restaurant, the art museum where they filmed Night at the Museum, and the skinniest building in the world at 4’ 11” deep. The city has the third largest Chinatown in North America due to Chinese immigrants coming in to work on the railroad. The city also has an initiative to be declared the greenest city in the world by 2020. Because of this, every building built has to have a great space, and most buildings have a garden on top. The biggest sources of revenue for Vancouver include (1) Forestry (2) Fishing (3) Tourism (4) Exporting / Importing – Vancouver is the third business harbor in North America behind New York and Los Angeles (5) Films and TV. 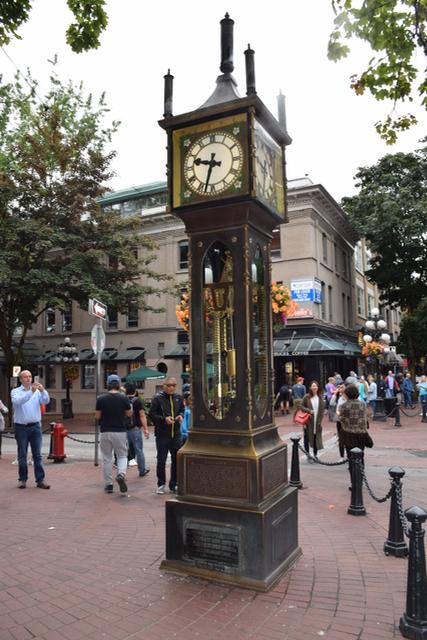 Vancouver is a beautiful city, and appears very clean when compared with other cities that I’ve visited. 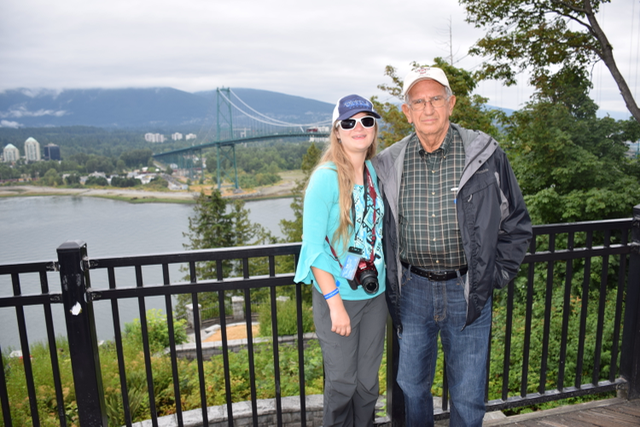 After touring the city, we stopped a couple of times in Stanley Park, which is the world’s largest urban park. It is 15% larger than Central Park in New York, and is naturally made. 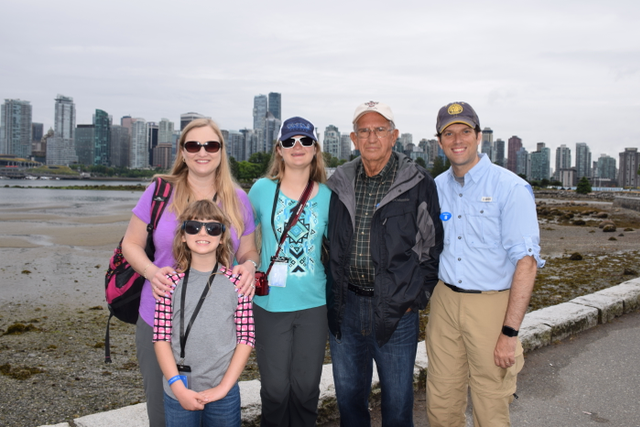 At our first stop we saw kids playing cricket, a large collection of totem poles, and a great view of the city skyline and harbor. The totem poles were recreations of the ones made by the Squamish Indians and as with all totem poles depict the story of a family. As we were driving to our second stop we saw a statue of a lady sitting on a rock in a wetsuit. 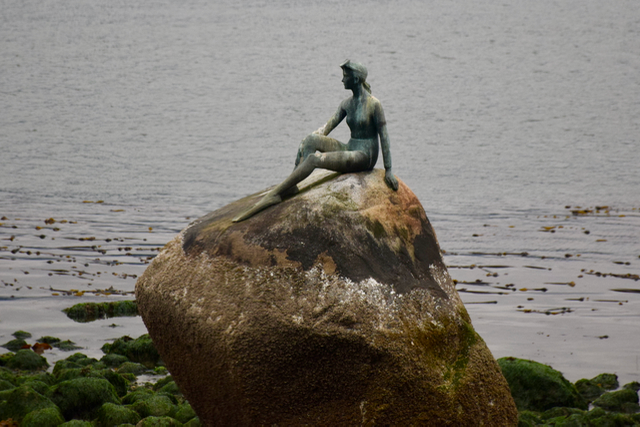 It is like the “Little Mermaid” in Copenhagen, but with a little humorous twist. At the second stop we saw the Lions Gate Bridge up close that we had passed under earlier in the day on the ship. It was built by the Guiness brewing family, and was manufactured by the same company as the Golden Gate Bridge in San Francisco. At the same stop we also got to walk to Propspect Point, which provided incredible views. Just past the bridge, we could see a large, yellow pile of sulphur that I saw earlier in the day from the ship. Sulphur does not have to be covered because it is naturally waterproof. As we continued through the park, we could see a section that was devastated by a major storm in 2015. Winds reached 111 mph, and they lost 10,000 trees. Once we arrived at the airport, we went through U.S. Customs and Immigration, which was a little surprising since I assumed that would happen in Seattle. It was all electronic, and was a very smooth experience. 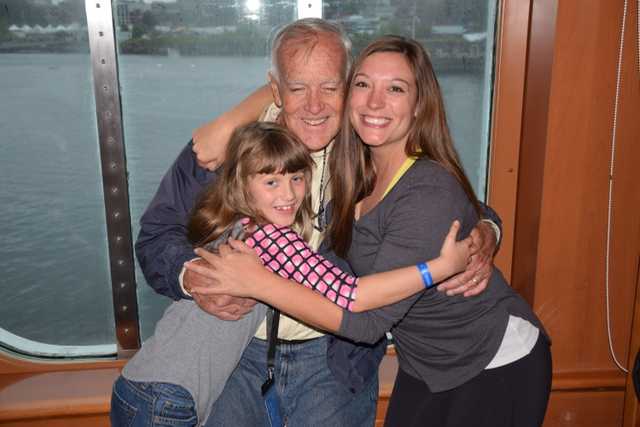 We grabbed a quick lunch and then had a very short flight to Seattle. 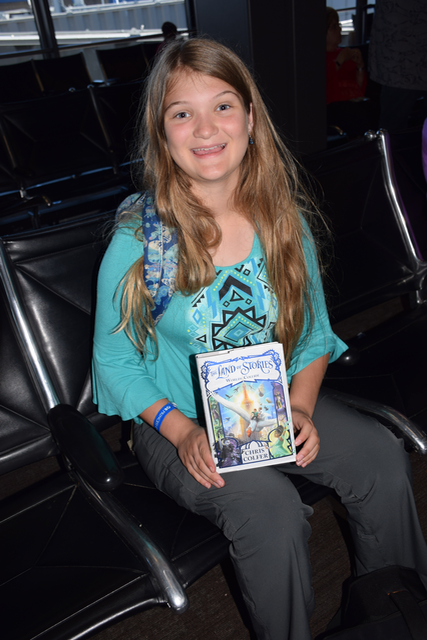 During our layover in Seattle, Kate was able to find a copy of the newest Land of Stories book that came out while we were gone. It is a large book, and she almost read the entire thing on the flight to Nashville. We arrived in Nashville just before midnight, and got home at about 1:15pm. It was an exhausting day of travel, but marked the end of one of the best vacations of my life. It was amazing.